(CNN) Craig Troxell steps precariously across a customer’s roof, marking hail damage from yet another Oklahoma storm. He still smells of the freshly cut grass from the swanky side of town, where he had just mowed lawns to make a few extra dollars. 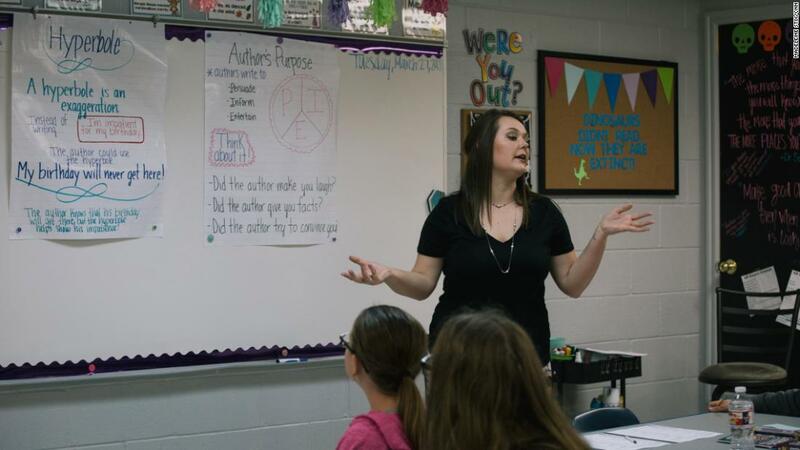 Oklahoma is among the bottom three states for teacher salaries, where educators often work about 10 years before reaching the $40,000 salary mark. And they haven’t gotten a raise from the state in 10 years. 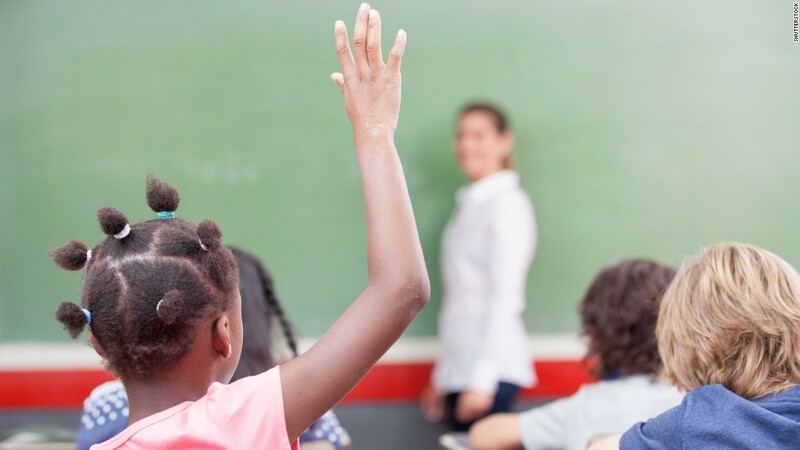 While educators nationwide have seen slight paycheck bumps over the past decade, when adjusted for inflation, teachers have actually lost 3% of their income from 2006 to 2016, according to the National Education Association. Recently, the Oklahoma teachers’ union called for $10,000 teacher raises, $5,000 raises for support staff and more than $200 million for education funding. Lawmakers agreed on an average teacher raise of $6,100, $1,250 for support staff and a $50 million increase in education funding — a measure Gov. Mary Fallin signed into law Thursday. But many teachers say it’s not enough. 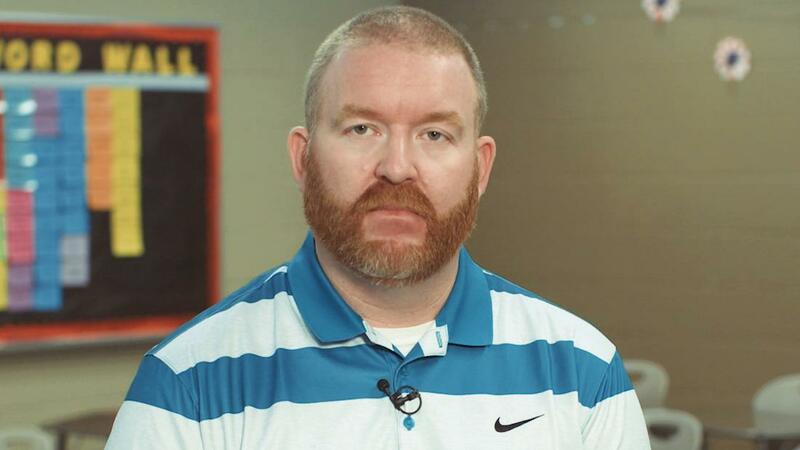 So on Monday, Troxell and thousands of other teachers will walk out — prompting some schools to shut down indefinitely. “We’re at the end of the rope,” Troxell said. He’s far from alone. 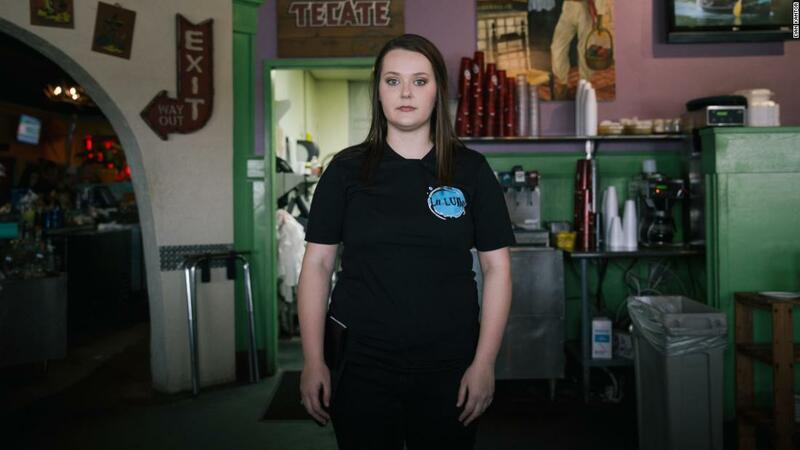 Several teachers told CNN they’re working multiple jobs in food delivery, retail, rideshare driving, restaurants and even surrogate pregnancy to pay the bills. Some now rely on a food bank to feed their own children. He gets visibly emotional thinking about how many days he tells them no. 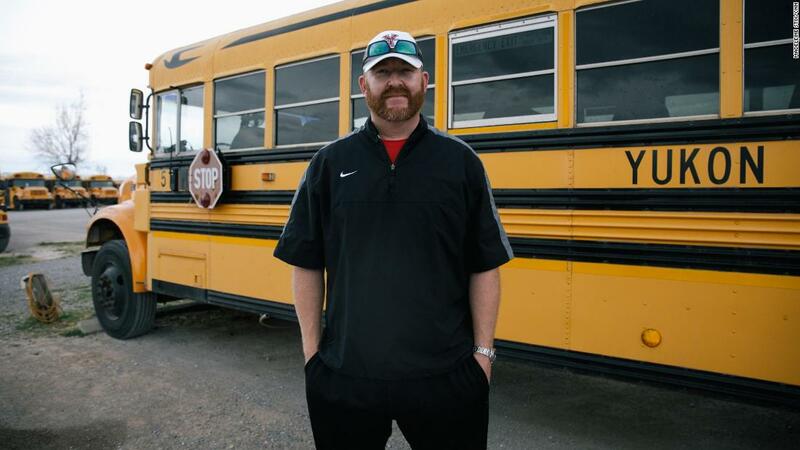 Moy teaches high school algebra, drives a school bus in the afternoon, coaches football and wrestling, umpires Little League baseball and drives for rideshare services. All of that combined, Moy said, brings home about $36,000 a year after taxes. But he fights off the exhaustion by the time the bell rings at Yukon High School, just west of Oklahoma City. As 32 teenagers fill his classroom, Moy’s demeanor is as cheerful as the yellow and blue lights strung all across his ceiling. When explaining a new algebra concept, Moy draws analogies to jelly beans and tacos. He plays “Hotel California” and “Roll With It” as students practice factoring polynomials. Moy’s unorthodox style has paid off. Freshman Zach Ennis said Moy has made algebra easier to learn. “I really like him, he’s a really good teacher. He explains stuff really good,” Ennis said. Ennis said he supports his teacher walking out next week, even though he might have to make up school days in the summer. Moy said he wants to keep teaching in Oklahoma, where he was born and raised. 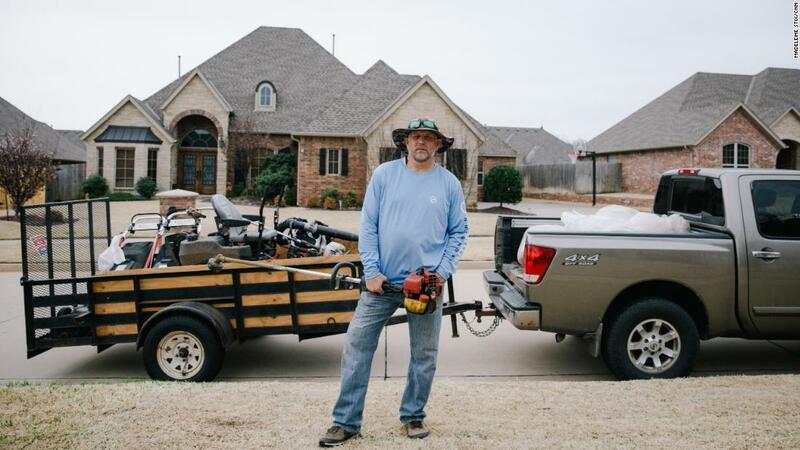 But he and his wife Kendra, who’s an elementary school teacher, can’t understand why educators in their state are paid so little compared to neighboring Texas and Arkansas. 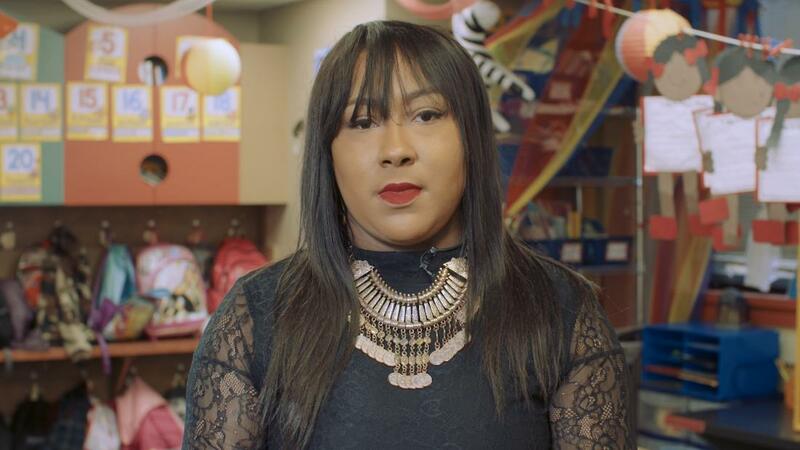 Despite their meager incomes, the Moys said they spend a combined $2,000 on their classrooms each year — including crayons and glue sticks for Kendra Moy’s 3rd grade students. 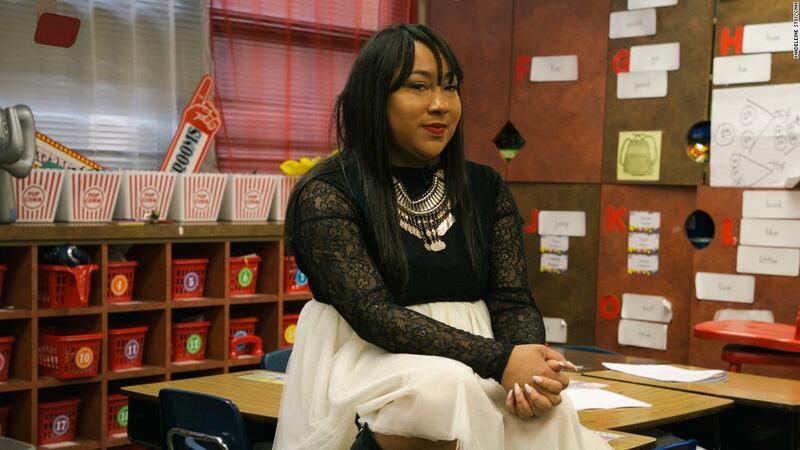 At her school, the entire student body qualifies for free or reduced lunch. Their 10-year-old daughter Karlie said she wishes her dad could go to more of her basketball and softball games. But she understands why he keeps teaching and working so many jobs. When Allyson Kubat started teaching at Mustang High School, the school had no debate program. Just three years after launching one, Kubat’s getting ready to take her undefeated debate team to the most elite tournament this June. “We’re going to nationals this year, which is kind of crazy,” said Kubat, 29. It will be her final act as a teacher. 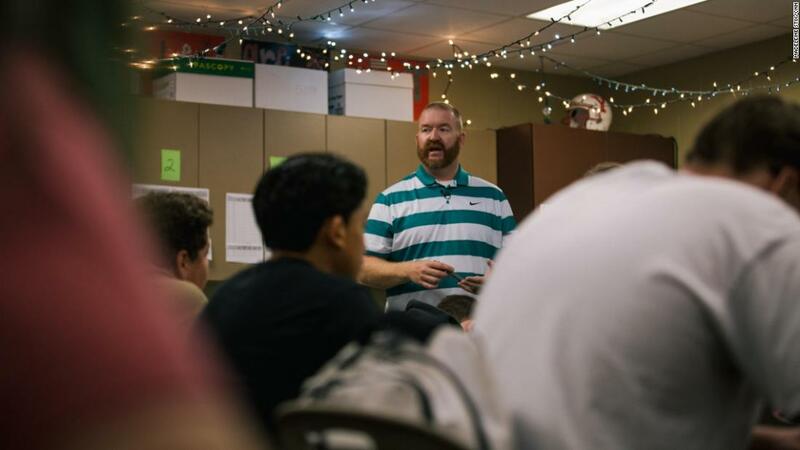 “I decided, as hard as it is, that next year I’m not going to be teaching anymore,” Kubat said. She realized the 60 to 90 hours a week she works to support her kids meant that she rarely got to see her kids. The epiphany came when her 9-year-old daughter called her after school one day. 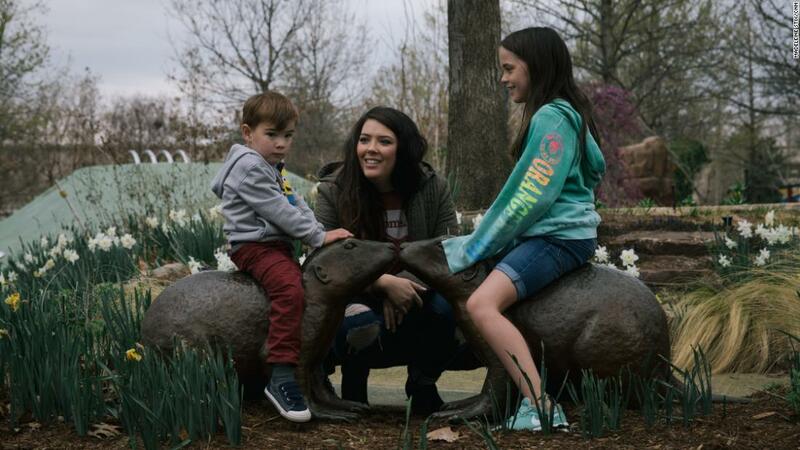 Kubat’s other jobs include event coordinating, food delivery and surrogate motherhood — a venture that puts a significant strain on her body but pays more than her teaching salary of about $33,000. Her husband, Clint, is an office manager who doesn’t make much more than his wife’s teaching salary. Before she started her second surrogate pregnancy this week, he said, the couple had already budgeted for that income. After this school year, Kubat will become a full-time event planner — a bittersweet move, given how passionately she loves teaching. “It is hard to give up what I’ve worked so hard to become,” Kubat said. But she’s tired of sacrificing crucial family time for teaching. By 8 a.m., Jennifer Winchester is teaching language arts to 5th graders. By 8 p.m., she’s hoisting trays of enchiladas at a Mexican restaurant. As a first-year teacher, Winchester “always understood” she would struggle financially. 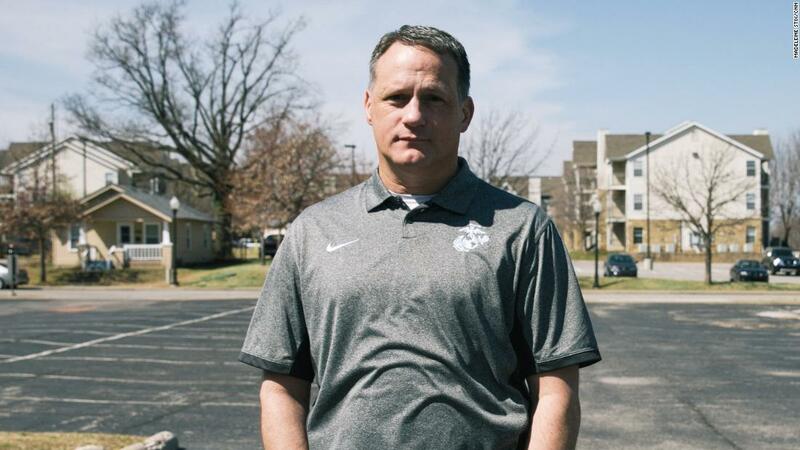 “In college, they would show us the pay increments … from zero to 25 years,” Winchester said. So Winchester pursued her passion, even if it meant moonlighting as a server to help pay the bills. “I can remember back in the 4th grade, my teacher told my mom at a parent-teacher conference, ‘If she doesn’t become a teacher, I’ll be very disappointed.’ Even in the classroom, I’d help other students,” Winchester recalled. Now, as a professional teacher, she again finds herself going the extra mile for students. 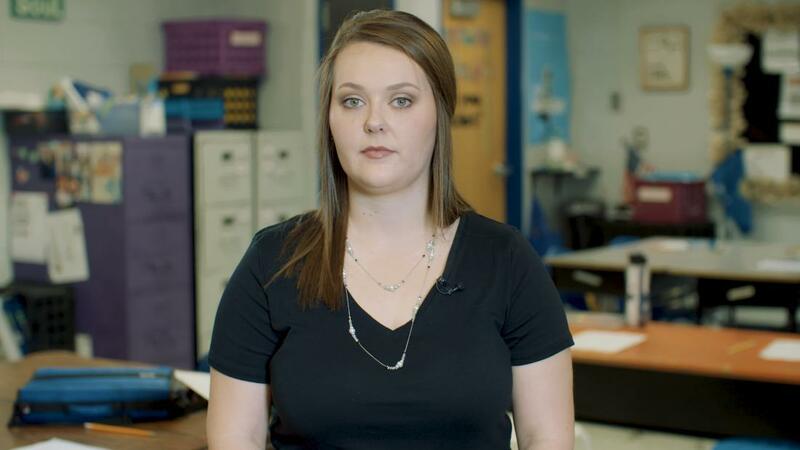 Despite her $31,000 teaching salary, she spent about $1,200 getting her classroom in shape for this school year, buying new shelves and books and replacing worn-out desks. “I tried to stop tracking those receipts, because it depresses me,” she said. Winchester’s long-term goal is to be a high school counselor. But she doesn’t want to take on a master’s degree in counseling until she’s paid off her $23,000 in student loans. For now, she’s hoping her nearly 10-year-old car “with as many dents as you can find in it” doesn’t break down, since that could spell financial disaster. She fantasizes about owning a slightly nicer car one day. “My goal is to have automatic windows and locks,” she said. Shontée Branton has bachelor’s and master’s degrees in early childhood education. But when she gets to the checkout lane at the grocery store, she has to turn around. “In my mind, I’m like, ‘What do I need to put back?’ Because I know I can’t afford all of this,” said the 1st-grade teacher at Epperly Heights Elementary. Branton, who’s been teaching for nine years, said she makes about $36,000 a year. She supplements that by tutoring, teaching summer school and working at Macy’s — both on the retail floor and in the human resources office. That’s when her 3rd-floor apartment looks more like a mountain summit. “I literally come home and sit in my car for 30 minutes because I can’t muster the strength to go up the stairs,” she said. Branton said she’s thinking about moving to Texas, where a teacher with her experience and education can earn about $20,000 more a year. But she feels a calling to teach in Del City, where she grew up and where all the students at her school qualify for free or reduced lunch. Branton said she’s walking out Monday not just for teachers’ raises, but for another key demand: more funding for education in the state. She said she never wants to teach an overstuffed class of 34 students with only 25 textbooks again. “A lot of people are saying we’re walking out on our kids. And that’s been one of the most hurtful things, because we feel like we’re walking for our children,” Branton said. 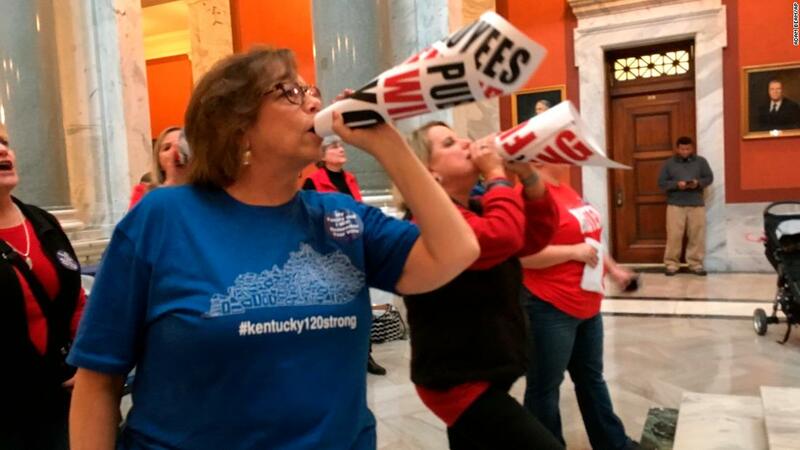 So what if she had to choose one or the other — increasing teachers’ salaries by $10,000 or adding $200 million in funds for statewide education? 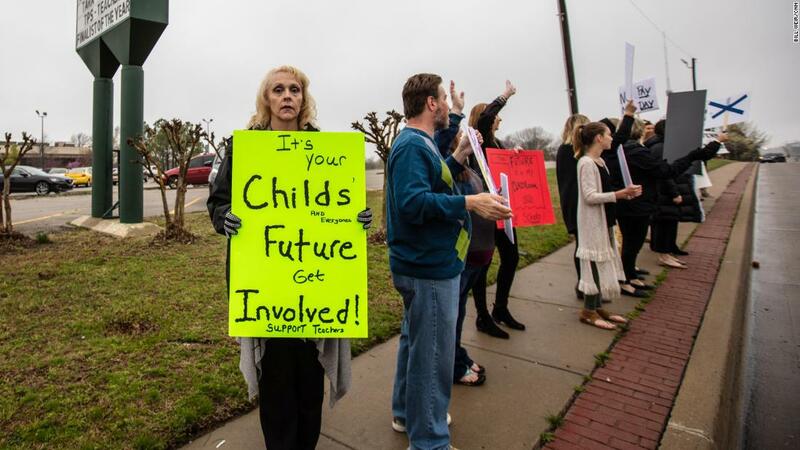 If neither of those demands are fully met, Branton said, Oklahoma could lose yet another teacher. Joy Hofmeister says the teachers’ frustration is justified. She said the main reason why it’s been so difficult to increase spending for teachers and education is because in 1992, the state constitution was changed to require a supermajority approval — 75% of the legislature — before taxes could be raised. She said it’s “unconscionable” that some teachers work three to six jobs to make ends meet. 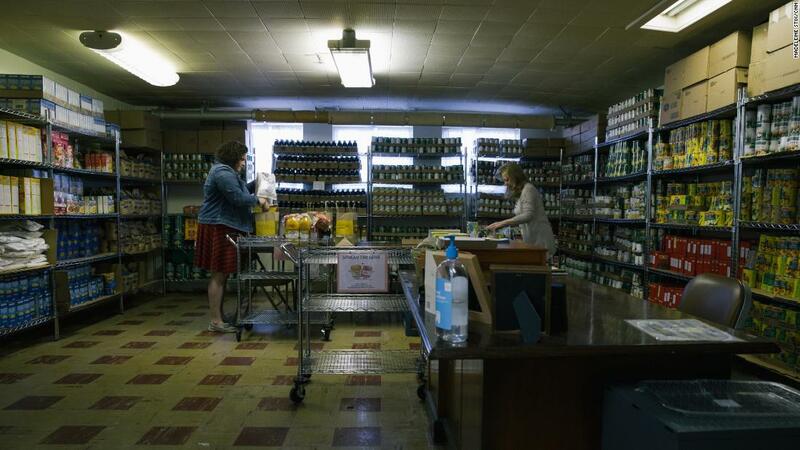 Lori Decter Wright admits there’s a stereotype about those who rely on food banks. Maybe they work at fast-food restaurants. Maybe they got hit with an unexpected medical bill. Then, starting around 2015, she noticed a shocking trend: teachers, including some with master’s degrees, also needed supplies of cereal, beans and canned vegetables. “We have teachers near the poverty level,” said Decter Wright, executive director of Kendall Whittier, Inc. — a ministry that runs an emergency food pantry in Tulsa. Michael Turner is one of the teachers who came in to the food pantry, embarrassed that he needed assistance. “You’re used to taking care of yourself. No one likes to ask for help, and that’s pretty tough,” said Turner, a recently divorced father of a special needs daughter. Turner said he “answered a call to action” when he became a special needs teacher. “There was a big push in the state of Oklahoma to hire veterans to teach special ed at the middle school level,” he said. And when he comes home to his own child, he faces the guilt of seeing a kitchen pantry with empty shelves. Turner says he’s grateful for the food bank’s assistance and regrets not reaching out for help months earlier. These teachers work up to 6 jobs. Now they're fed up and ready to walk out - CNN, us. Bookmark.